This Magnolia handmade artisan soap will bloom in your bath or shower. As a fragrant breeze stirs the soft petals of white magnolias, you will be transported to a lush veranda in the south. 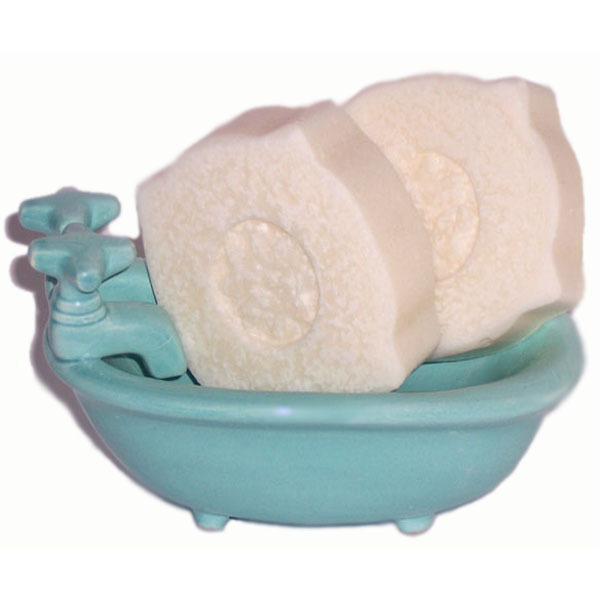 This Magnolia handmade soap is like a fragrant breeze that stirs the petals of soft white magnolias. It is made with a fragrance of magnolia flowers in full bloom. This heady and sweet scent will transport you to the south, where the breeze carries this scent on the wind. Enjoy this captivating Magnolia soap that will seduce and enchant you the first time you wash with it. Magnolia soap is made with mostly olive for mildness, coconut and castor for creamy bubbles and palm kernel for a harder bar. Each batch is enriched with tropical mango butter for a luxurious bar at an affordable price. My cold process batches are cured for six weeks to assure that each soap is mild. Water that was used during soapmaking evaporates, creating a harder and longer lasting soap. Each soap is packaged inside a paper soap box, making it a wonderful gift for any occasion. Buy one or two for a birthday, a wedding or baby shower or just a thank you gift. Magnolia soap will be transport you to a lush veranda in the south. Indulge in this affordable luxury. Ingr: Olive oil, Coconut, Palm Kernel, Mango Butter, Castor oil, Soybean, Sodium Hydroxide, Beeswax, Fragrance, Sodium Lactate, Titanium dioxide.